Product #21693 | SKU TP-LONI-SBX42 | 0.0 (no ratings yet) Thanks for your rating! 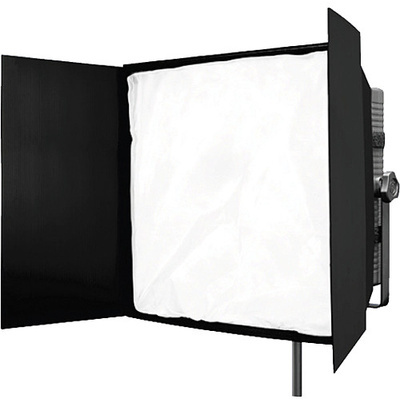 This Dedolight Foldable Softbox for Felloni LED Light adds an extra degree of smooth soft light to the panel's output. It has two removable front faces for different strengths of diffusion and includes two removable side flags that act like barndoors to control the beam spread.